Family: Amanda lives in the Loire Valley with her husband Scott and daughter Alexandra. Hobbies: Active in local amateur dramatics, dancing, running, cycling and she has recently taken up pen and ink painting and drawing. 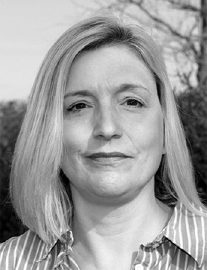 Amanda is a fully qualified Financial Adviser, with over 20 years’ experience both in the UK and in France. As a UK based Financial Adviser, she worked for Abbey National PLC, where she obtained her CEFA qualifications, and for Barclays Wealth Management dealing with high net worth clients. She subsequently worked as a mortgage adviser to the Lloyds TSB Group before relocating to France in 2006. Amanda joined the Spectrum IFA Group in 2009 where she focuses on clients in the Loire Valley and Poitou Charente. “I love the joie de vivre that living in France brings and enjoy helping other expatriates to make their French dreams come true”.